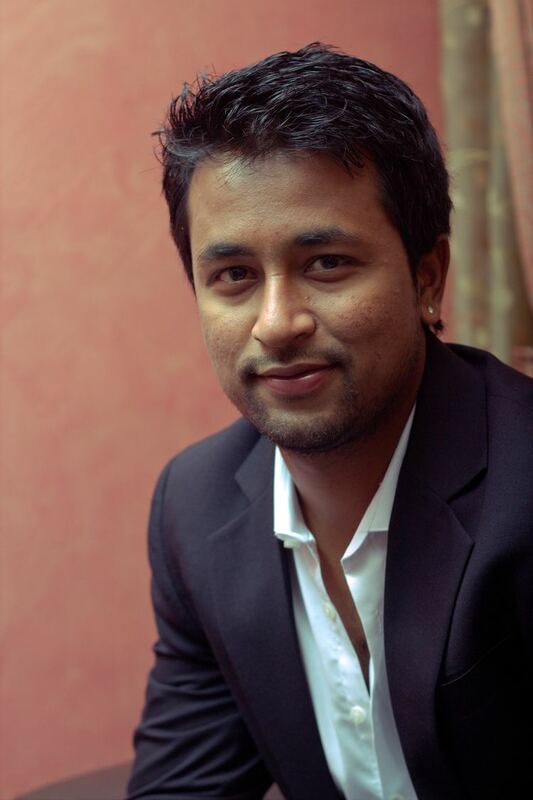 Pragyan Ojha (born 5 September 1986) is an Indian international cricketer who played for Hyderabad cricket team and now plays as a professional for Bengal in domestic cricket. He is a slow left arm orthodox bowler. He is the only player from Hyderabad to have played all the three formats for Indian cricket team and has achieved world no 5 as his career best ranking in ICC Player Rankings. Only spinner to win the Purple Cap in the Indian Premier League. Ojha made his debut in first class cricket in 2004/05 and represented India at the under-19 level as well. He finished the 2006–07 Ranji Trophy season with 29 wickets with an impressive average of 19.89 in just 6 games. The left arm spinner is known for his ability to flight the ball. His earliest pursuit in cricket was at the age of 10, when he went to Sahid Sporting Club for a summer camp in Bhubaneswar under Sasang S Das, while studying at D.A.V. Public School, Chandrasekharpur. Three years later, he moved to Hyderabad and joined Bhavan's Sri RamaKrishna Vidyalaya in Sainikpuri, secunderabad and choose cricket as his profession under the guidance of his coach T Vijay Paul. Ojha represented Hyderabad Cricket Association in domestic cricket from 2004 till 2015, now plays for Cricket Association of Bengal. He has previously played for Deccan Chargers and Mumbai Indians in the Indian Premier League. His high success in the first couple of seasons in domestic cricket and the IPL ensured his selection in the 15-man Indian squad for the Bangladesh tour and Asia Cup in 2008. He played his first One Day International match against Bangladesh on 28 June 2008 in Karachi and ended up with figures of 2/43. 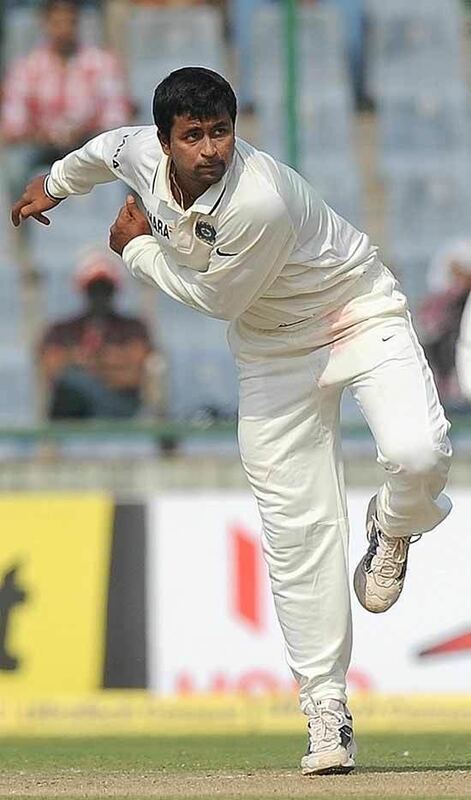 On 24 November 2009, Ojha made his Test debut in the Second Test against Sri Lanka in Kanpur, replacing Amit Mishra and gaining figures of 2/37 off 23 overs and 2/36 off of 15.3 overs in India's 100th Test win. He then took five wickets in the Third Test in another innings win for India, taking nine wickets at 28.66 in two Tests. 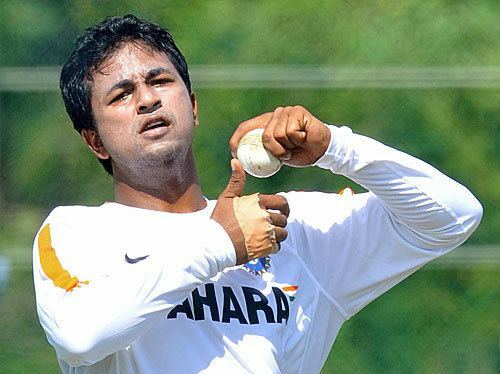 Ojha became the 800th and final Test victim of Muttiah Muralitharan, the highest wicket-taker in Test history. In his T20 debut against Bangladesh on 6 June 2009, he took 4/21 in four overs. He was awarded Man of the Match for his outstanding and match-winning performance. He has performed exceedingly well in the six editions of IPL, earning him the praise of his captain Adam Gilchrist and Sachin Tendulkar. He was all the more successful in the second season, which ensured his selection in the 2009 ICC World Twenty20 in England. IPL 3 he was awarded the Purple Cap for picking up the most number of wickets in the tournament. He has been part of 3 IPL winning teams (1 for Deccan Chargers & 2 for Mumbai Indians) & 1 champions League for Mumbai Indians. In August, 2011 he signed to play for Surrey for the final few weeks of the 2011 season. His 24 wickets in 4 games helped Surrey to promotion to Division One of the LV County Championship. In November, during the First Test of the West Indies Tour of India he staged a marvelous comeback taking 6 wickets for 72 runs in the first innings. In December, 2014 Ojha was barred from bowling in competitive cricket after his action was found to be illegal. 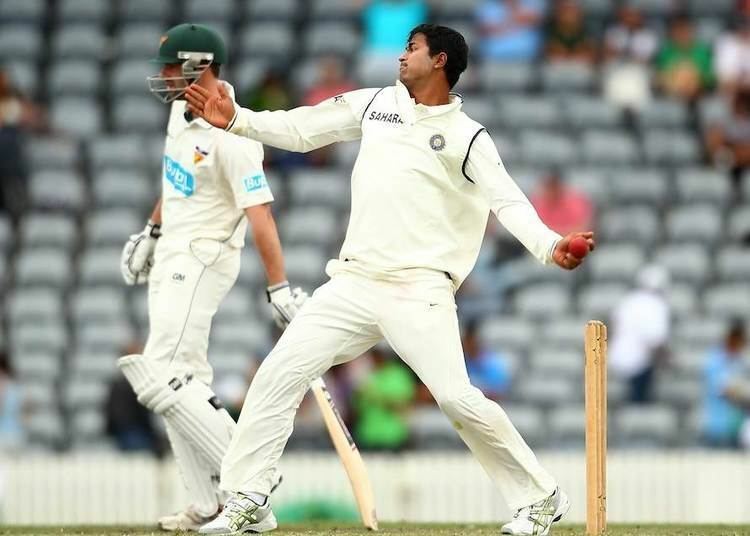 Later on 30 January 2015 Ojha cleared the test and was allowed to resume his bowling. 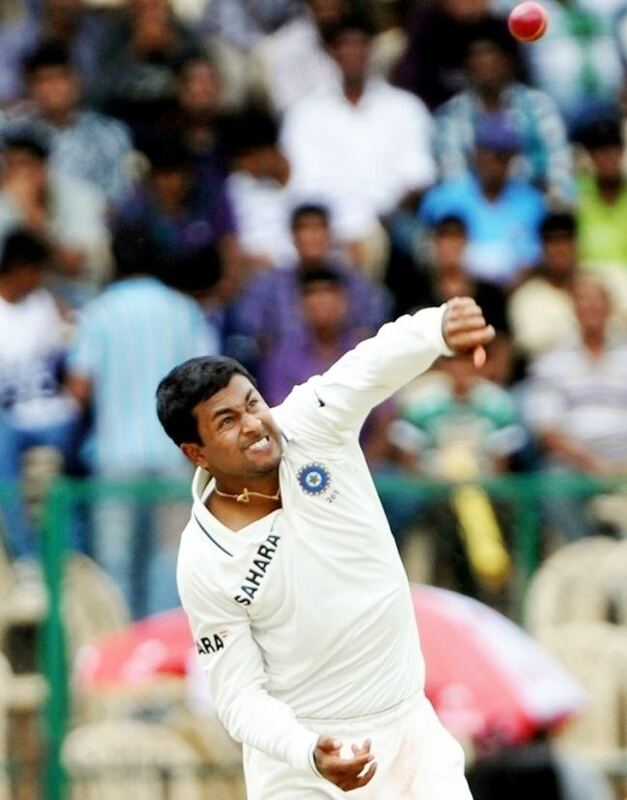 In a 2008 interview, Ojha said that Venkatapathy Raju, who was also a left-arm spinner, inspired him to play for India. Pragyan was born in Bhubaneswar, Odisha. He moved to Hyderabad at the age of 13 and since then he has been residing there with his family. His parents are Maheswar Ojha (retired State Govt. Officer) and Bidulata Ojha (M.A in Literature). On 16 May 2010 he got married to Karabee Kailash who was pursuing PhD in Biochemistry at University of Hyderabad, daughter of Kailash Chandra Baral and Chanchala Naik both professors at English and Foreign Languages University. Ojha was awarded Man of the Match for his outstanding figures of 5/40 and 5/49, against West Indies which was Sachin's last and 200th test match, 14-16 Nov 2013. Ojha was awarded IPL Jury's Best Bowler at the Grand Hyatt Hotel, Mumbai on 23 April 2010. Odisha's Chief Minister Naveen Patnaik presented a memento to Ojha for his completion of 100 Test Wickets on 4 August 2013.